Lot Size: 48acres n/a "3700' Lakeshore Frontage"
DARE TO DREAM of owning 48 Acres on Beautiful Minnitaki Lake in the Majestic Wilderness of Northwestern Ontario! This Unique Lakeshore Property offers South/Southeast Exposure with 3700+- feet of Lakeshore. Mining Rights Included. Minnitaki Lake offers Walleye, Northern, Smallmouth Bass, Lake Trout and Perch for the Fishing Enthusiasts in the Family. 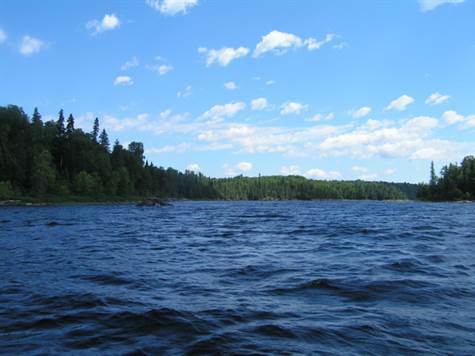 This Remote Property is water and float plane accessible only, and is located approximately 16 km south west of the Municipality of Sioux Lookout. Sioux Lookout is 65 km from the junction of Dinorwic and Highway 72.